There’s no getting around the fact that A Level Maths is one of the most challenging of all A Levels. It’s for the aficionado of equations and an aptitude in everything from differentiation and geometry to algebra and trigonometry is vital if you’re going to come out the other side with a decent grade. However, like all A Levels the effect which effective study and revision have on grades is hard to overstate. We have asked our tutors – and here are our top A Level maths revision tips to ensure you reach your potential. This came up time and time again and you’ll hear it so often you’ll be fed up, but it’s true. It’s easy to be efficient with your revision and study time but it’s just as easy to waste it too. Identify what you need to study and where your weaknesses lie. Then create a study schedule that is catered for your needs. Don’t overload yourself and make sure it’s not all boring grind in the library; study where you’re comfortable. Past papers for all examining bodies are readily available, so use them. Do as many as you can, not only will it prep you for the difficulty level it will also help you gauge how easy they are to finish within the time scales. Don’t be put off if you find the first few past papers difficult; remember this is preparing you for the exam at the end of your course. The more you do the better you’ll get at answering the type of questions you will get asked. Don’t try to just memorise theories and formula; understand them so you can apply them. This way you won’t come unstuck when you are faced with a complex problem in the exam, you should be able to work through it logically and calmly. Are you a last-minute panicker and forget things in the exam? Are you overly confident and end up underprepared? Or perhaps you’re a worrier who rushes exam and makes silly mistakes? Identify how you react before and during exams to ensure you prepare yourself mentally. Meet with friends who are better and worse than you and talk about problems, equations, theories, specific areas you like and dislike. Group Maths revision can be very useful at seeing things from a different perspective – i.e. that of your revision buddies. They might have good resources or ideas. Why not try Googling ‘revision games for A Level Maths’? There are study aids, apps and forums specifically created for all courses. The internet is a wonderful resource for information, so use it. Just make sure you don’t get distracted. If you’re struggling to remember a formula, then make flash cards. Ensure the formula on the card resonates with you by writing it in a bold colour or in large writing or with creative flourishes – whatever works for you. Then make the card the last thing you look at before you start the exam so you can store it in your short-term memory and write it down on the front of your exam paper in pencil to refer to if needed later. Hopefully some of the above A Level Maths revision tips has made you think about how you are studying and may even help with your exams. 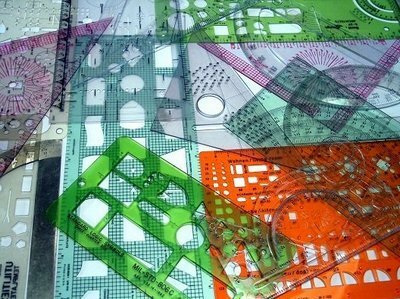 If you want some more help then have a look at our list of the best maths revision books.